As one of the most remote travel destinations in the world, New Zealand has long been celebrated for its natural wonders. With a substantial roster of volcanoes, gorgeous views of the Pacific Ocean, and astoundingly high mountains, New Zealand is an ideal vacation spot. Here are a few ways to truly enjoy the beautiful landscapes of New Zealand. There’s so much to relish in with all of the unique nature adventures that New Zealand has to offer, it is best, to begin with, a national park. The 13 national parks in New Zealand offer diverse scenery. 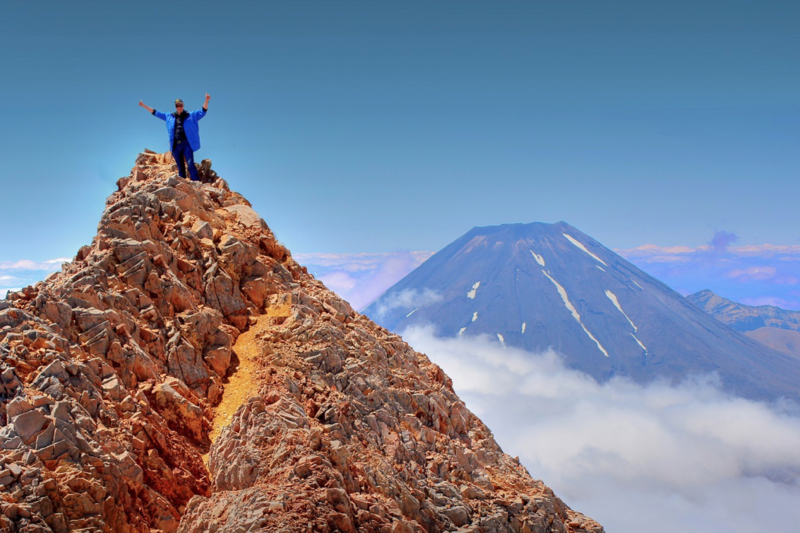 Volcano seekers enjoy visiting Tongariro National Park, which is home to three volcanoes. This park offers a variety of opportunities for outdoor excursions, including camping, walking, mountain biking, and skiing. As the country’s oldest national park, the area’s dramatic volcanic landscapes are paired with a rich history of the Maori culture, indigenous to New Zealand. For those who prefer sightseeing on the water, Whanganui National Park is the ideal destination. This park includes the Whanganui River, which is the longest navigable waterway in New Zealand. Canoe and kayak safaris are popular at this park, leading travelers to huts and campsites along the river. Additionally, jet boat tours provide exciting opportunities for groups who want to experience the breathtaking waterfalls and canyons on the Whanganui River. Mountain climbers can’t resist the excitement and challenge of Aoraki Mount Cook National Park, which is home to New Zealand’s tallest mountains and longest glaciers. The park is designed to be easily accessible for mountaineers, who regard it as the best climbing area in the region. For less-skilled climbers, Aoraki Mount Cook National Park offers mountain walks during the day, as well as extraordinary stargazing opportunities in the evening. And for those who travel by air, the park’s Tasman Glacier has a landing area for helicopters and small ski planes. New Zealand’s national parks are some of the unique and impressive in the world. Visitors have been inspired to call New Zealand home after experiencing countless opportunities to explore nature. Check out this guide to learn more about New Zealand’s natural parks and how can call one of them your neighbor at https://movingtonewzealand.com. With its many caves and caverns, New Zealand presents a plethora of opportunities for below-the-surface journeys. While clad in wetsuits, helmets, and harnesses, visitors enjoy caving as the ultimate exploring experience. Guided tours lead cavers to busy waterways and other natural beauties. Caves can also be explored through black-water rafting, which is often set amongst glowworm caves. The Arachnocampa Luminosa, known as the glowworm, is unique to New Zealand. These minuscule creatures radiate a dazzling light throughout the Waitomo caves, delivering a once-in-a-lifetime adventure. New Zealand is known for its delicious and exceptional seafood. It has become a desirable destination for a freshwater or saltwater fishing trip. With such beautiful, accessible waterways, prosperous fishing opportunities inspire many travelers to keep returning to New Zealand. The most common fish species in the area are trout, perch, tench, salmon, and snapper. Regardless of the species you seek, fishing in New Zealand provides a relaxing and fulfilling way to experience the outdoors. The Eglinton River in Fiordland National Park is home to an abundance of brown and rainbow trout. Each October, the area hosts the local Te Anau fishing competition. This competition is a family-friendly event where winners receive exciting prizes. Huts and lodges within this park create convenient accommodations for fishers, too. Bay of Islands is a popular saltwater fishing area, which offers both inshore fish and deep-water fish. Many species of fish can be caught in Bay of Islands, but the region is famous for its excellent of snapper. Fishing boats known as saltwater charters guide visitors on their trips, helping them find the most flourishing fishing spots. NewZealand is one of the best places for a trip and outing. last year I was going to this beautiful place and enjoyed a lot. I love this place. 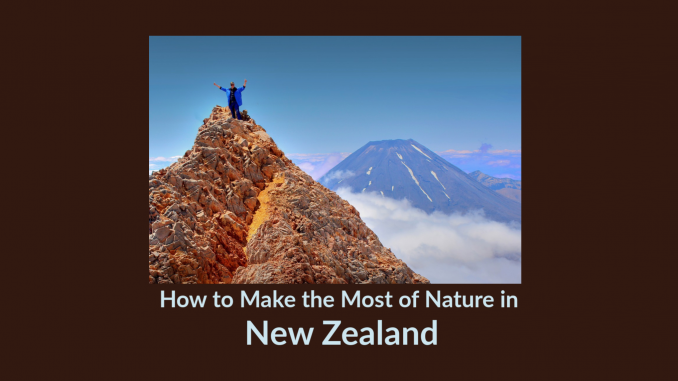 Hey Buddy!, I found this information for you: "How to Make the Most of Nature in New Zealand". Here is the website link: https://www.trippinwithtara.com/how-to-make-the-most-of-nature-in-new-zealand/. Thank you.